Who wants to know how many teeth this impressive predator has?! You will be able to find out soon while diving with them! African Shark Eco charters are THE specialists of sharks in Cape Town. They offer various shark trips from Simons Town and the famous Seals Island, False Bay. Their boat, the Blue Pointer, is perfect to make great shark pictures. It has actually been used to make the shark show Airjaws 1 and 2 on Discovery channel. Gansbaii (1h30 drive from Cape Town) is the other famous place where most of the shark diving centers operate from. Most of the time, they will pick you up in Cape Town or Hermanus depending where you stay and take you to the diving and bring you back on the evening. The nice thing is that you could enjoy a shark diving in South Africa as well as a whale experience, if you are in Cape Town for the whales season. You should then stay in Hermanus to do your shark diving and then enjoy a whale tour the day after or the day before. For more info, check on www.white-shark-diving.com. Do not wander too far from shore, this isolates an individual and additionally places one far away from assistance. Do not enter the water if bleeding from an open wound or if menstruating, a shark's olfactory ability is acute. Sightings of porpoises do not indicate the absence of sharks, both often eat the same food items. Use extra caution when waters are murky and avoid uneven tanning and bright colored clothing, sharks see contrast particularly well. Exercise caution when occupying the area between sandbars or near steep drop offs, these are favorite hangouts for sharks. Do not enter the water if sharks are known to be present and evacuate the water if sharks are seen while there. And, of course, do not harass a shark if you see one!" Feet on the edge...One, two, three, jump! 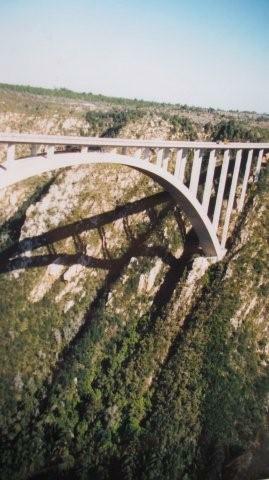 The bridge of the Gouritz river (3h from Cape Town), high of 50m brings a single rise of adrenalin while reaching at the time of the jump, a speed of 120 km/h. Can you see shark cage diving in South Africa from the bridge? Euh...maybe not...too far and too much adrenaline..! I have done this one and it's lots of fun! 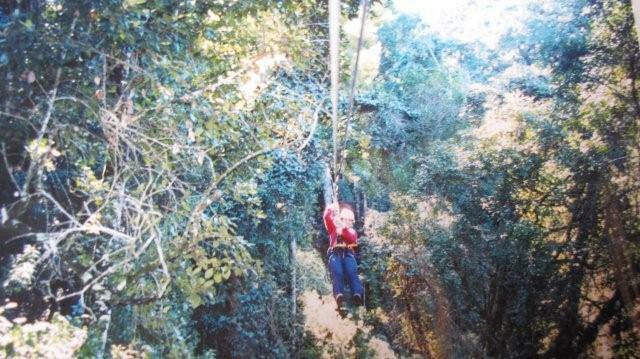 You will be able to go from one tree to the next one with a cable in the forest of Tsitsikamma (5h from Cape town)! The longest cable is of 211m and highest of 50m. Can you see shark cage diving in South Africa from the tree? Euh...maybe not...too far and too many leaves around..! Once at the top, you have the choice to walk down, take the cable car or to abseil the Table Mountain! High of 1000 meters from sea level, it will give you enough time to enjoy the view before reaching the bottom! Actually, if you are a big fan of adrenalin rush then this one is for you! It is known as the world's original highest commercial abseil! Once in a lifetime...Enjoy! Can you see shark cage diving in South Africa from Table Mountain? Euh...maybe yes...! The name gives you a slight idea of what to expect! This excursion of 17kms in the Boland area (1h from Cape Town) combines bath, swim and jumps at different levels. The highest jump will be 18 meters! Can you see shark cage diving in South Africa from the gorge? Euh...maybe not...too far and not many sharks around here..! In Killarney Garden race track (15min drive), you can learn how to drive a racing car and have fun watching the speedometer to move to the red without getting a fine! Can you see shark cage diving in South Africa from the car? Euh...maybe not...too far and too fast...! ‘Do it once and you want to do it again!’ said my friend. Feel the fresh air coming onto your face, your noise and all over when you are jumping! Can you see shark cage diving in South Africa from the sky? Euh...maybe yes...but plenty of water all around...! During 1 day, you’ll be surrounded with water and scenic splendour. 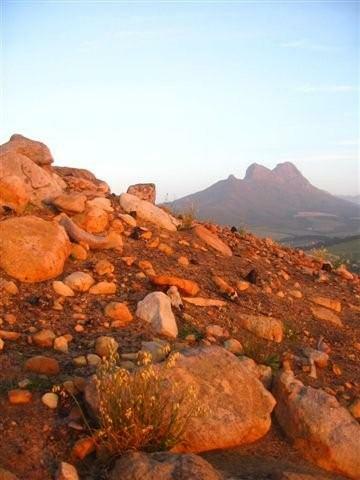 The Breede Kloof is home to the Breede River, its wine farms and beautiful Hex River mountain. Only 1h30 from Cape Town. If you feel like staying even longer, I can arrange that for you. Fantastic adventure of tubing, swimming, rock jumping and hiking in the beautiful Storms River Gorge on the Garden Route (5hours drive). Oh! This is such a great experience! Your heart won't be pumping as such (except if you're afraid of woolves! just kidding!) but you'll enjoy it! The hike is in the winelands (Stellenbosch). It starts at a farm and ends on top of a hill where you should plan to have a nice glass of wine with snacks while the sun dropped down and the moon rose! So romantic! The hike is quite popular so when you go down don't forget to watch behind you the beautiful scream of light coming down the hill (hikers with their torches). It's so beautiful! 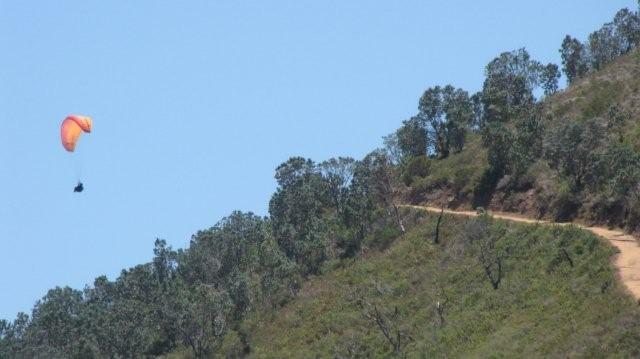 Let me know when you will be in Cape Town, I can't organize the full moon but I can organize the hike! Just let me know your dates to check if Madam the Full Moon is planning to be aroun that time! So...so...are you in for a shark cage diving South Africa or any other extreme activities?! Then, let me know who you are and what you are interested in, in this below form and I will assist you with your booking with great pleasure! You are in for an xtreme adventure?! When will you be in Cape Town? How old are you and the others?